Today begins the season of Epiphany, a time when our focus is on the revelation of God as a human being in Jesus. This is the day that celebrates the arrival of the Magi, to worship Christ the Lord. As a parent I suppose there are always things we look back on and wish we could do differently – having a greater focus on the Christian calendar rather than the Hallmark calendar is one of those changes I would make if I were doing things over. The story of the Magi has so much potential for learning within it; following the light of truth as we pursue God, bringing our best gift as worship, discerning truth, accepting change…lots of lessons contained in their story. One tradition that marks Epiphany is the chalking of the door. It is a tradition that comes from the welcome that Mary and Joseph extended to the Magi into their home. As Christians, we invite Jesus to daily dwell in our home with us, and to be a participant in all that happens in our home. Our conversations, our comings and goings, the decisions that are made regarding our home and family. We ask Him to bless our home and all that happens therein. 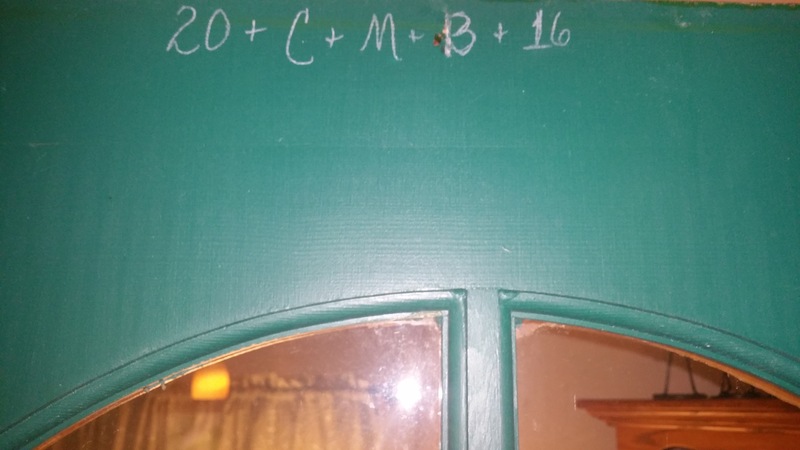 The way we can symbolize this with our family is taking chalk and marking the header of our front door; 20 + C + M + B + 16. The markings bookends, 20, 16 is the year we are entering. The letters, C,M,B represent two things, first the initials of the names traditionally given to the Magi; Caspar, Melchior, Balthazar. It also stands for the latin phrase, Christus mansionem benedicat, “May Christ bless the house.” The + signs represent the cross, which is always present in our view of Jesus. Make this a time when your family gathers together for a few moments, acknowledging the end of the Christmas season with the arrival of the wise men, and a family prayer asking for God’s blessing on your home through the coming year. As you see the chalk inscription each day, let yourself be reminded that you have invited God to be present in all that happens in your home. And as the chalk fades with time, remember that physical possessions are always temporary and they are always secondary to things of eternal value.